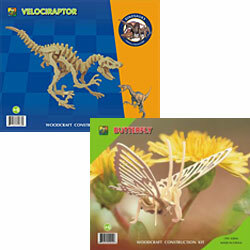 We offer a wide variety of top-quality wooden toys not only of the traditional ones but also with innovative designs, which always pace with if not lead the market trend. 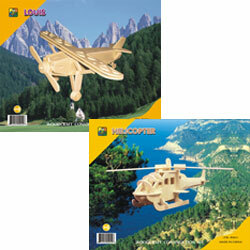 One of our best-sellers are 3D puzzles. Made with excellent workmanship, we offer a wide range of designs including animals, transportation vehicles, boats, dinosaurs, sationaries and mini furniture — with new selections added each month. Our goal is to provide the best quality products with a competitive price and best possible delivery terms in the business. Hence, together with our quality assurance and punctual delivery, we shall always meet your satisfaction. We also offer a solid OEM service where you can provide your own designs. If you send your idea to us, we will help to make it a reality. We are looking looking for US distributors. Please contact us for more information!